Very few records blew me away like 2011's self titled Royal Headache debut. It was such a unique sound hitting at the perfect time. It became an instant classic and a record that I continue to spin frequently to this day. After waiting patiently for a few years, the band has finally followed up with their sophomore release High. I've lamented the lack of great records in 2015. It's been a year of quite a few good records, but it's been slim pickings on game changers. The first time I put High on the turntable I was instantly caught up in an excitement that's been tough to come by this year. I was immediately thinking this might be the best record of the year and was playing it multiple times a day. Having spent some time with it these last few weeks, some of that initial rush has settled down and I think I have a more composed view of Royal Headache's 2nd album. It is a great record. It is definitely one of the best albums of 2015. Top 10 for sure, top 5 probably as well. However, with a bit of perspective I don't think that this album is quite as good as the first Royal Headache album. For starters it's kind of front heavy with the hits, which I think helps lead to the rush of enthusiasm for the album. The first four songs in particular are among the best the band has written and sets a high bar for the rest of the album. Unfortunately, the album hits a bit of a brick wall with track five ""Wouldn't You Know." While not a bad song or anything, it's a real momentum killer and to me, the band struggles to recapture the energy of the songs that precede it. That's not to say the rest of the album is no good. It is good, it's very good actually with one or two songs borderlining on great. 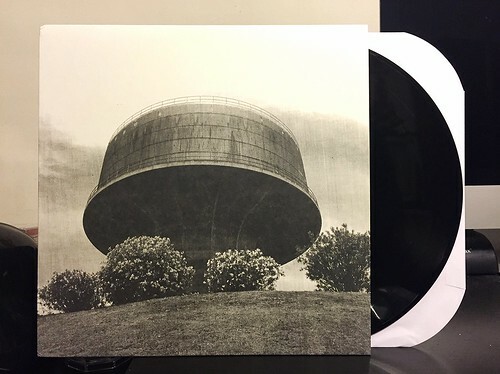 But as much as I like this album, which is quite a lot, it's not album of the year level and it is just a bit shy of the greatness of the first Royal Headache record. That being said, this is a great record and this is definitely one of the best albums of the year. Don't mistake this review for anything other than a positive one. This is a record you should buy.